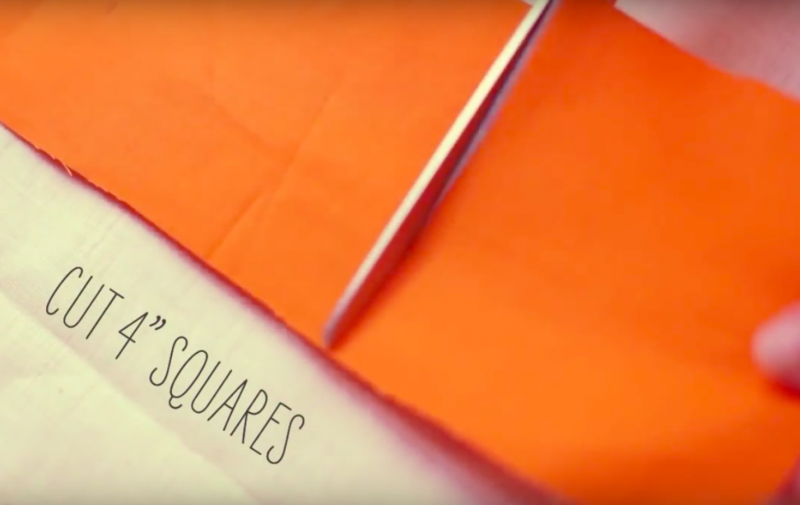 This beautiful project is one that will be fun to make and will make you happy and proud to gaze at. Whether you hang it indoors or outdoors, this chandelier doesn’t have any lights but it will still brighten and warm the space. 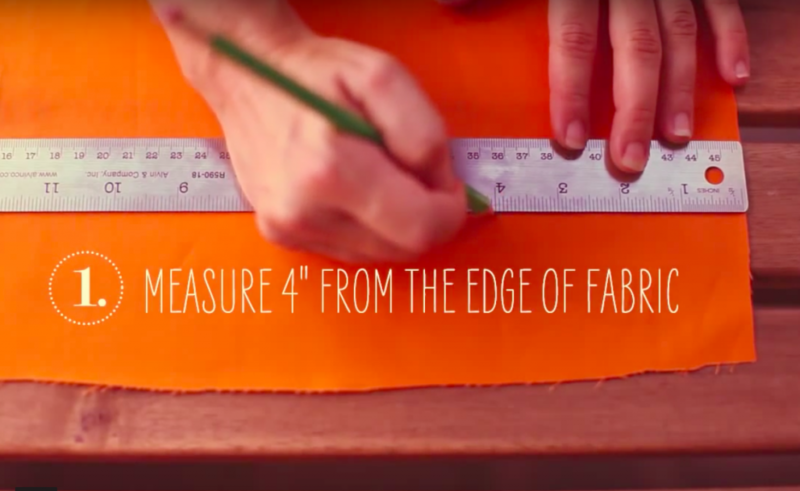 First, take you fabric and measure 4″ from the edge. CHECK OUT THIS ALTERNATIVE FABRIC AND EMBROIDERY HOOP DIY! IT’S BOHEMIAN CHIC AT ITS FINEST! 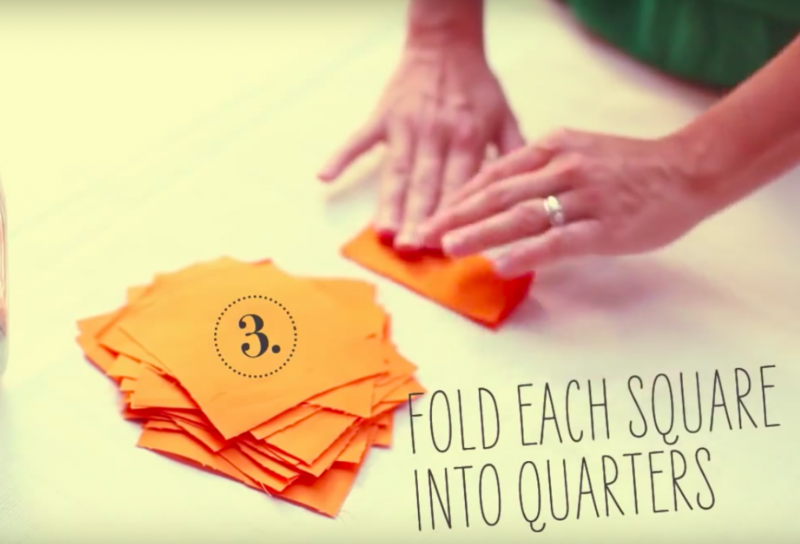 Fold the squares into quarters. 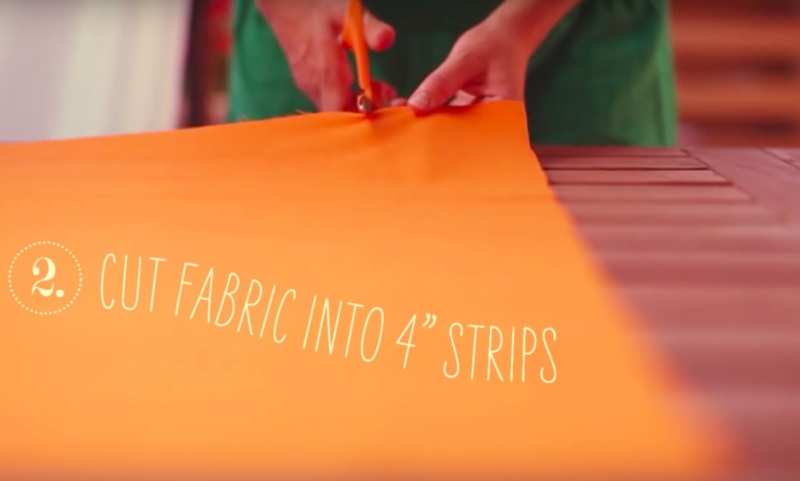 Now that the fabric prep is done, it’s time to get out your needle and embroidery thread. I like the choice of a solid bold color!